With a surprising lack of fanfare (as I was sketching, two locals asked me if I knew what it was), The Great Wheel, reportedly one of the biggest Ferris wheels in the U.S. at 175 feet, is supposed to be finished in June. It certainly adds whimsy to the Seattle skyline. I really like this in particular the view thru the wheel. 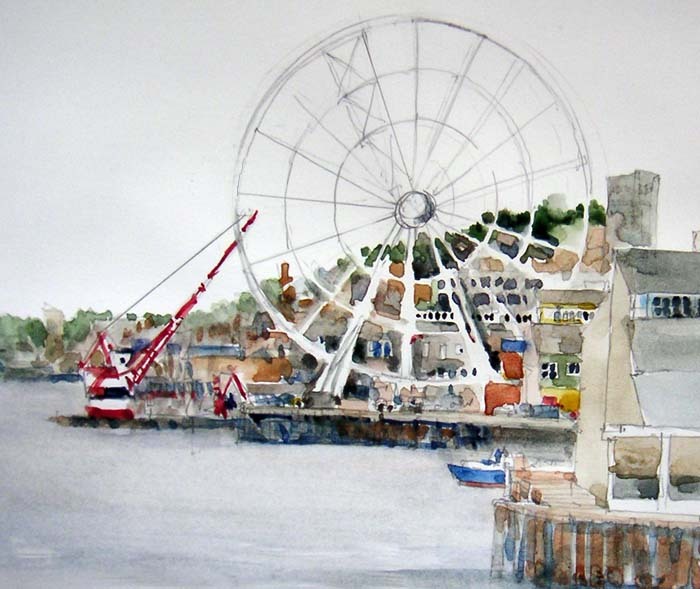 Susan, like David H. Said I too love the view through the wheel and the white space to capture the wheel is great.. Nice sketch as always!